Today’s chapter is one of the most quoted chapters in churches around the world, especially in America. In particular, everyone seems to love vs 14: if my people, who are called by my name, will humble themselves and pray and seek my face and turn from their wicked ways, then will I hear from heaven and will forgive their sin and will heal their land. We love to quote that one at times of repentance and at basically every youth convention known to man. Still, good verse. However, let’s look today at a lesser quotified section of the chapter, namely verses 19-22. Often times, we focus on quoting the positive promises of God, i.e. “will heal their land”. But we typically neglect the negative aspects of this promise; if we don’t follow God’s commands, he promises that those actions will have repurcussions too, which are less healy and more beat-down-with-a-whupping-stick-y. This chapter highlights the two aspects of God that we all struggle to keep in perspective: his simultaneous complete loving-kindness and his holiness. God is Love; he is the definition of Love; without Him there is no Love to speak of in the universe. Yet he is also Holy; he is the embodiment of perfection and goodness; there can be no darkness in him because he is 100% light. The fact that we like to focus more on the former and neglect the latter seems to be more a reflection of the kind of God we’d prefer to serve than a true representation of who God is. Notice also in these ending verses that the “you” in the “if you turn away” is not talking to Solomon specifically. This is the pural “you”, as in “you people”. It’s a strange twist of English grammar that we have the same word for you-singular and you-plural; that’s pretty unique in the languages of the world, and can sometimes obscure our understanding of the Bible. In this instance, it means the same as “if my people” in the previous section. Once again, this highlights the dual aspect of the promises in this chapter. If we turn from evil and follow God, he will heal our land; if we do not, he will not. So the mindbending question of the day is: can you come to grips with the duality of God? That He is perfect Love and perfect Justice at the same time? That he is Father and Judge? Creator and Flooder? Coming to accept God as He is and not as we’d like Him to be is one of the hardest thing for our limited human minds to do. Good thing we have a Son who helps us bridge the gap. 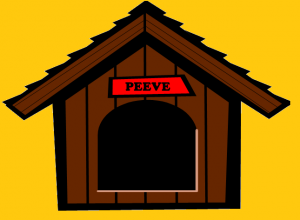 However, there’s also what I like to call “pet amusements,” which are the little things that make you smirk and shake your head, but not really get mad. For instance, name dropping. We all have friends that say things like, “so, I went to a conference, and I shook Billy Graham’s hand; I prayed for him quick (in my mind) that he would preach good, so i’m sure that’s why it went so well tonite.” “or, yeah, I was at woodstock. I put out Jimmy’s guitar,” or “so, I was just hanging out at Mickey D’s the other night, and Postmaster Dave was there.” I never really get mad at that sort of thing, but it does make me smirk. And mock just a little. But, then we read passages like today’s in the Bible, and it turns out that name dropping has been going on as long as men have been wearing fig leaf underpants. 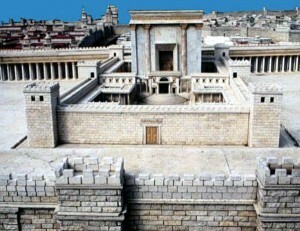 In 2 Chronicles, we read about Solomon building the temple, and notice some of the names that come up: David is mentioned twice in the first sentence; in verse 17 we read about Boaz (the noble man who married Ruth); and my favorite in the Subtle Name Dropping category, the temple mount is referred to as Mount Moriah (instead of Mount Zion), the site where Abraham sacrificed Isaac. Why all the references to the past? In the ancient world, establishing a link with a famous ancestor was fairly important. Often kings would reuse the names of famous predecessors, hoping to incur some of their awesomeness. The Bible has several instances where family trees are traced in some detail; actually, it’s more like excruciating detail. So they must have thought it was pretty important. We do the same thing today, but we are a little less open about it. How many Rockefellers do you know that are anxious to change their last name? How many people do you know with the first name of Judas? It was actually a fairly common name, until that one guy messed it up for everybody. The truth is, all of us are influenced by the names in our past, and we’d like to keep the good as brightly lit as possible, and the bad as shadowy as we can get away with. Interestingly, the Bible gives us a nice little bonus in this situation. John 1:12 tells us that we have the opportunity to become “children of God.” Most of us would be content to known as a descendent of Charlemagne or Louis XIV, so shouldn’t we be ecstatic to hear that we are actually in the Bloodline of God himself? Think of that next time some doofus sneaks into the express with 14 items instead of 10; and try not to lay them out with your rapidly melting frozen lasagna. You have a family reputation to think of. Do you ever find yourself trying to figure out your own motivations? For example, why do people go to a buffet? You know deep in the bowels of your gut that the food is as low a quality as possible; just fresh enough to pass health inspections. Not so bad that maggots are in plain view, but definitely not fresh off the farm. Why do people watch a repeat of Dancing with the Stars instead of finishing the report that’s due tomorrow? Why do people watch the NBA at all? And don’t get me started on the luge. In the 1920s, George Mallory was obsessed with climbing Mt. Everest. Back then, it was even more dangerous than it is today; but Mallory made three attempts in a quest to be the first to stand at the top of the world. When some reporters asked why he was so determined, Mallory responded with the famous quote “Because it’s there.” There is something in us as people that has to defeat a challenge, simply because it exists, to be the one that overcame the odds, to make a name for ourselves. In the ancient world, there was a common motivation among rulers; to leave a lasting monument to their own greatness. We can appreciate those desires now, since they resulted in such classic monuments as the pyramids, the coliseum, and the plethora of ruins in Greece. However, I imagine the people actually working on these monuments (and paying for them) probably were a lot less enthusiastic. However, in 2 Chronicles, we read of an entirely different motivation for a building project. 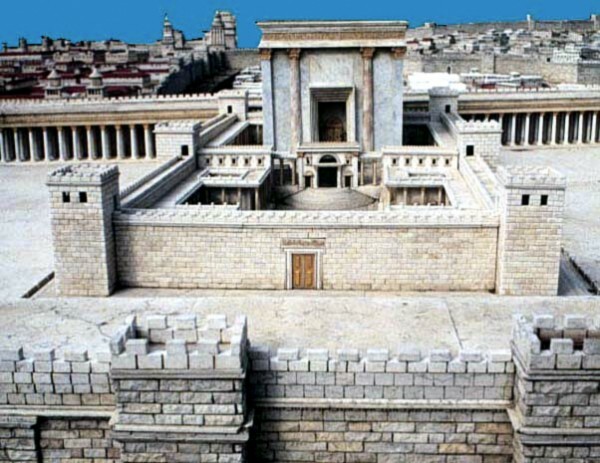 Solomon is beginning work on the temple in Jerusalem, and he writes to a neighboring king, saying “The temple I am going to build must be great, because our God is greater than all other gods.” Solomon was trying to create a monument to Creator of the universe; there was no expense or effort too great to make. Rather than make a name for himself, he was trying to make a name for God. But even in the midst of these preparations, Solomon recognized that his efforts were ultimately futile. He comments “but who is able to build a temple for him, since the heavens cannot contain Him?” In other words, what is the point in making the temple at all, when God’s glory in the skies will over shadow it anyway? I think the answer lies in that same motivation as Mallory. We don’t build monuments to God so that everyone can see them; after all, people just have to look around to see God’s greatness. We don’t build them to give God a place to hang out; the very realms of reality are not enough to contain Him. Rather, we build cathedrals and churches, we sing and worship, we dance and praise, simply because He Is. There is something in us that is driven to worship God; sometimes that drive gets warped to worship something else, but our search drives us on to worship. It’s fulfilled only when we fully engage our lives in worship of our Creator.